Even skeletons, like Du-Jay, need to brush their pearly whites!! Tooth decay is scary. 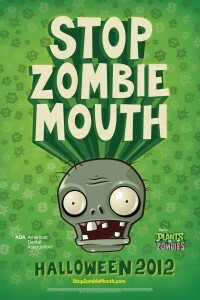 Help us stomp out zombie mouth this Halloween with good dental habits and sugar free treats. Looking for a sweet treat for Halloween that won't land you in the dentist's office?! PopCap has FREE downloads of the full Mac or PC version of Plants Vs. Zombies you can pass out this year!! That's nearly a $20 treat each, for FREE. ChiIL Mama's all about alternatives to candy for Halloween. In the past, we've passed out stickers, little playing card packs and mini Play Doh cans, but this year trumps them all. Thanks to Pop Cap for sending us 50 Plants Vs. Zombies card packs to share with friends. Du-Jay and Sagezilla have already been having a blast passing out Plants Vs. Zombies special collector cards and trading with their friends. The cards are all zombies--about half that exist in the game and half new. 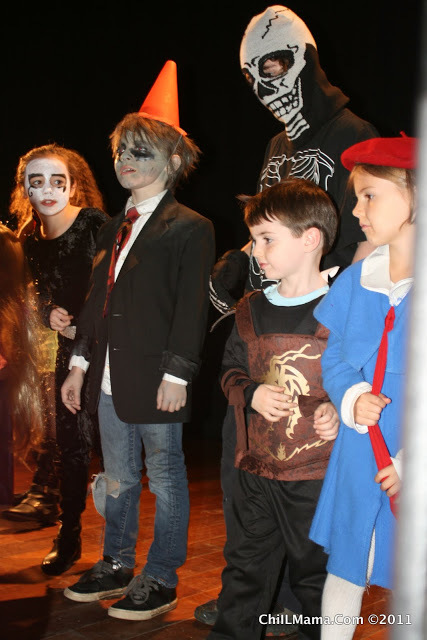 Their favorites are the Vampire Imp, the Daredevil Imp, the Bunny Zombie and Crazy Dave. Best of all...the card packs come with a free full edition game download and they're calorie and cavity free! This educational, award winning game even helps grow your brains. 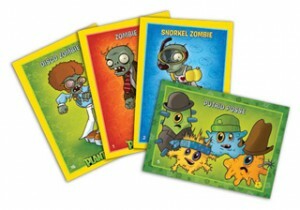 These free codes can be redeemed at http://stopzombiemouth.com starting Oct. 30, but no later than Nov. 10!! They are good for the PC or Mac version of the super-popular game, which normally sells for $19.95. game code can be used starting 10/30/2012! This Halloween, ADA and PopCap Games are redefining what a Halloween “treat” can be, by giving a fun game free, instead of candy. Just think how much kids love games. The American Dental Association (ADA), the leading source of oral health-related information, and PopCap Games, a leading digital games creator and a division of EA, have partnered to raise awareness of the importance of kids’ oral health in addition to providing a fun alternative to sugary treats on Halloween night. 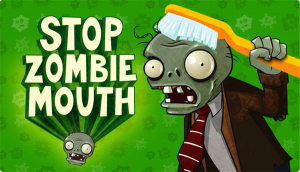 Stop Zombie mouth. 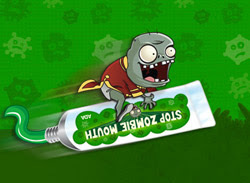 Plants Vs. Zombies is a ton of fun, but tooth decay is NOT. Our friend, Charlie, is a huge Plants Vs. Zombies fan. 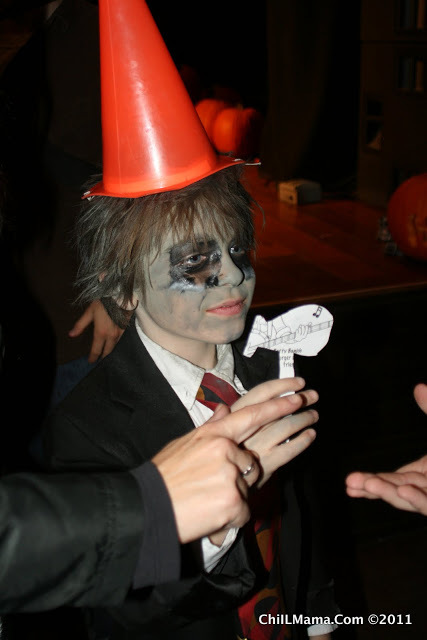 His creative, homemade zombie costume won last year at Chicago's Punkin' Prom! *Thanks to PopCap Games for the 50 packs of Plants Vs. Zombies trading cards. All opinions are our own.